LAS VEGAS--(BUSINESS WIRE)--Quantenna Communications, Inc., a leader in ultra-reliable Wi-Fi networking for whole-home entertainment, and ASUS today at CES announced that Quantenna’s award-winning QSR1000 4x4 Multi-User Multiple Input Multiple Output (MU-MIMO) chipset will power the ASUS RT-AC87U, the world’s fastest 802.11ac home router. The RT-AC87U employs Quantenna’s 4x4 MU-MIMO chipset to deliver an unparalleled data throughput speed for the 5 GHz band (1.7 Gbps). Additionally, Quantenna’s superior digital beamforming will ensure whole home coverage when streaming rich multimedia, giving consumers the best Wi-Fi experience available. As the only wave 2, 802.11ac router in the market, Quantenna’s QSR1000 solution makes the RT-AC87U the only home router that can handle the future connected home bandwidth requirements, future proofing the consumer’s investment. To set up a time to meet with Quantenna during CES, please contact quantenna@lewispr.com. ASUS is a worldwide top-three consumer notebook vendor and maker of the world’s best-selling, most award-winning, motherboards. A leading enterprise in the new digital era, ASUS designs and manufactures products that perfectly meet the needs of today’s digital home and office, with a broad portfolio that includes motherboards, graphics cards, optical drives, displays, desktop and all-in-one PCs, notebooks, netbooks, servers, multimedia devices, wireless solutions, networking devices, tablets and smartphones. Driven by innovation and committed to quality, ASUS won 4,168 awards in 2012 and is widely credited with revolutionizing the PC industry with its Eee PC. ASUS has more than 12,500 employees around the globe with a world-class R&D team of 3,800 engineers. Company revenue for 2012 was approximately US$14 billion. Quantenna is a leading developer of 802.11ac and 802.11n Wi-Fi semiconductor solutions that deliver the performance, speed and reliability of wired Ethernet for multimedia data anywhere in the home. Quantenna pioneered the delivery of seamless video over Wi-Fi and set the performance standard for delivering wire-like quality HD video reliably throughout the connected home, for which it has amassed a list of major awards, including being named a “Top 5 Start-Up for 2013” by The Wall Street Journal. 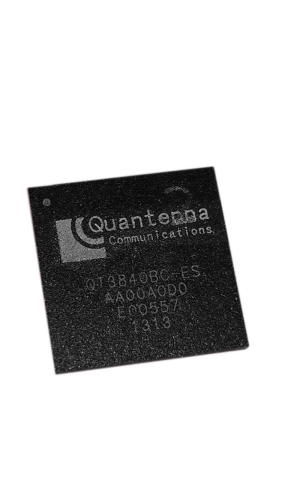 Founded in 2006, Quantenna has shipped millions of its Wi-Fi chipsets being deployed by major telco, cable and satellite service providers and operators worldwide including AT&T, Bell Canada, Swisscom, Telefonica, France Telecom and Belgacom. Quantenna is headquartered in Silicon Valley, with offices worldwide. For additional information, visit www.quantenna.com. Quantenna™ is the trademark of Quantenna Communications and its affiliates in the United States and certain other countries. Wi-Fi® is a trademark of the Wi-Fi Alliance. Any other trademarks are the property of their respective owners. Quantenna’s award-winning QSR1000 4x4 Multi-User Multiple Input Multiple Output (MU-MIMO) chipset will power the ASUS RT-AC87U, the world’s fastest 802.11ac home router.